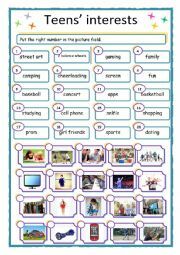 Hi, this is thought of as a fun way to help ESL teens to approach the language. Hope it will will. I would like to make follow up worksheets, which I hope to be able to link to this one.